Golden State Warrior point-guard, Stephen Curry, helps YouTube star Rudy Mancuso with his health-related New Year's resolution in latest campaign for Brita. 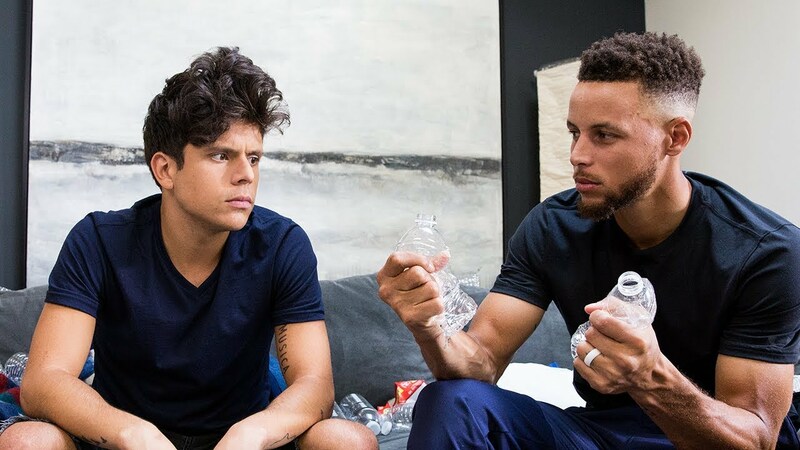 YouTuber extraordinaire, Rudy Mancuso, started the new year by posting a new video to his YouTube channel featuring NBA superstar Stephen Curry. The sponsored content follows Mancuso’s attempts to stick to his New Year’s resolutions with a little help from the Golden State Warrior point guard. Curry shows Mancuso how to stay hydrated and take care of his body in a rather unconventional as lip-synching 'life coach.' The story begins is centered on the premise that Mancuso, who boasts 3.7 million subscribers on his Shots Studios-managed channel, is failing at fulfilling his New Year’s Resolutions, which prompts Curry to magically and surprisingly appear. He then goes to help Mancuso change his diet, work out, impress his girlfriend and drink more Brita-filtered water.